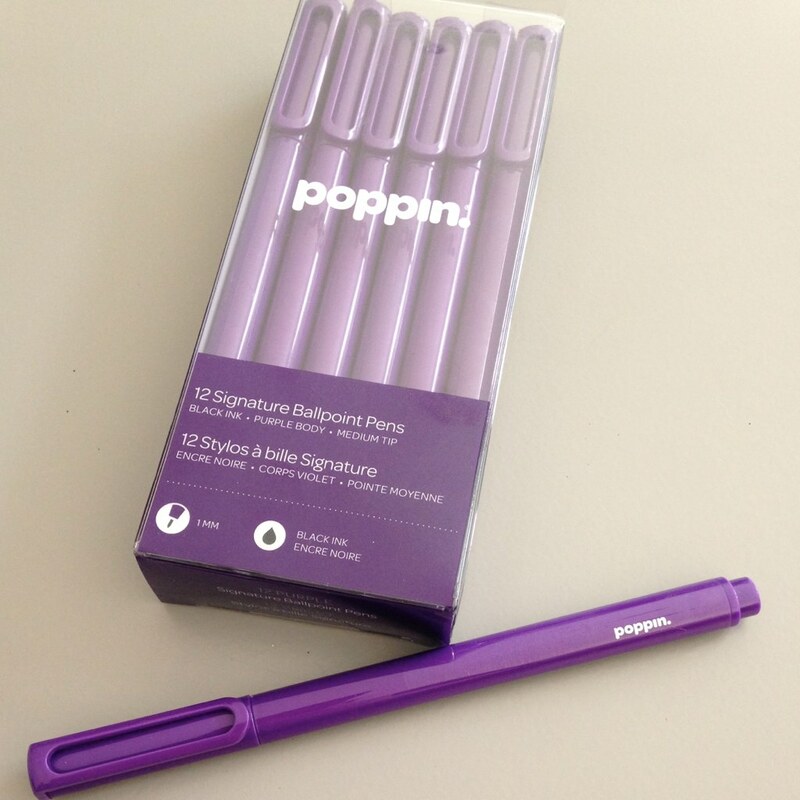 I was at Staples a few weeks ago and picked up several items from a brand I'd never seen - Poppin. 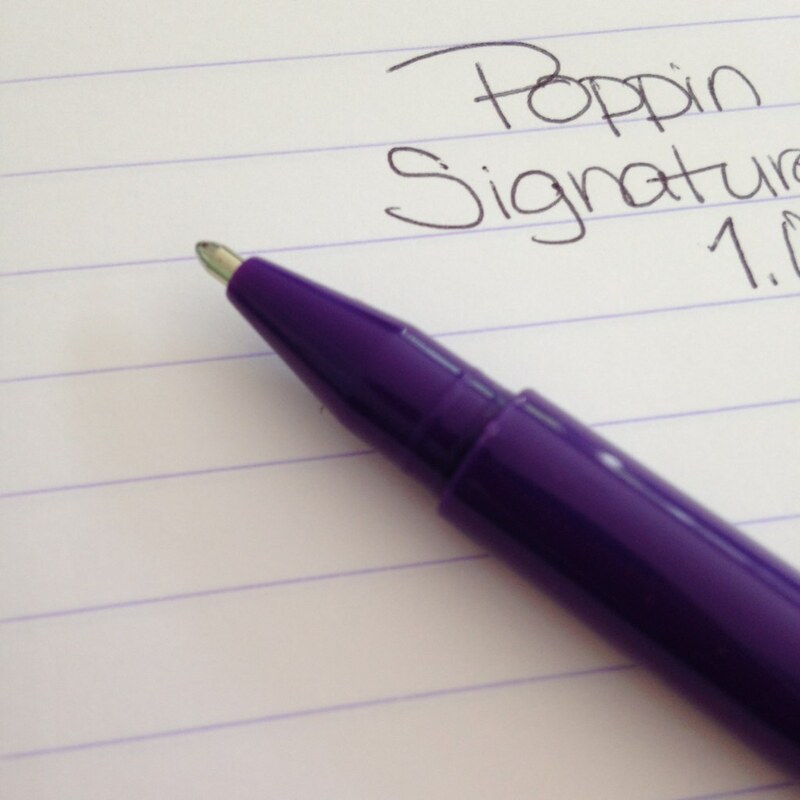 Last week, I reviewed the Poppin Gel Pens. Before that, I had a closer look at the Cahier Notebook. I didn't enjoy either those items. And, here's a surprise . . . I'm not wild about these ballpoint pens from Poppin either. The pens are a dozen to a pack, the ink is black, the tips are medium (1 mm). 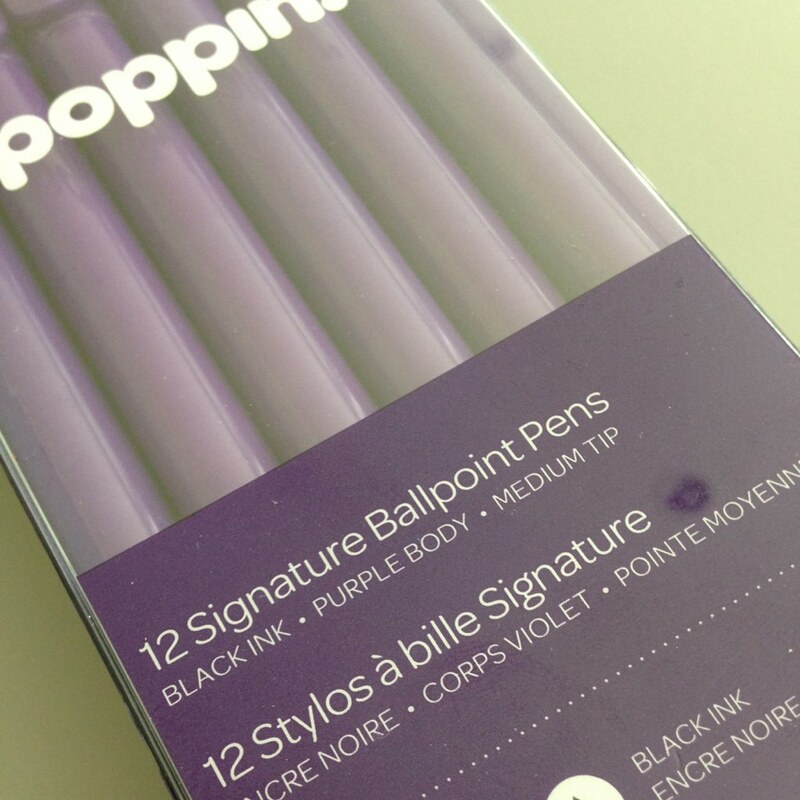 The barrel is solid purple and other than that, the style is exactly the same as the gel pens. That is to say that the pens have that terrible "step down" grip that isn't very comfortable for any sort of longer time spent writing. Flow is good and there's no terrible squeaking sound like with the gel pens. 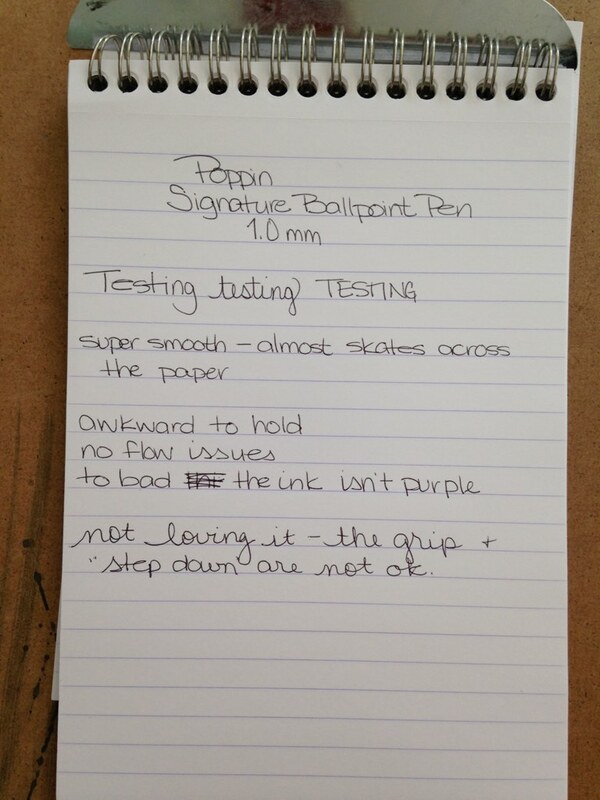 Surprisingly, the ballpoint practically skates across the page, providing no sense of feedback or friction. A bit odd for a ballpoint - and some people may enjoy that feeling - I did not. I ended up putting the pen I used back in the package and gave them to a friend who loves purple. So...that's three failed items in the Poppin line for me. I'll say again what a shame it is - the items are so pretty. If only they were also functional.